All electricity meters in India will become smart prepaid meters in the next three years, Union Power Minister R.K. Singh said on Thursday. Addressing meter manufacturers at a meeting here, the Minister asked them to scale up manufacturing of smart prepaid meters as their demand is bound go up in the coming years, according to a Power Ministry statement. "In the next 3 years, metering will go smart and gone will be the days of bills reaching your house. So, need of the hour is to scale up manufacturing of smart prepaid meters and to bring down their prices," the statement cited Singh as saying. He also advised the ministry officials to consider making smart meters mandatory after a particular date. "This will revolutionise the power sector by way of reduced AT&C (aggregate technical and commercial) losses, better health of discoms, incentivisation of energy conservation and ease of bill payments, etcetera," he said. According to the ministry, smart metering will also generate employment for skilled youth. The meeting discussed various aspects of smart meters like Bureau of Indian Standards (BIS) certification, compatibility with RF/GPRS and harmonisation with existing digital infrastructure, it added. Power Secretary A.K. Bhalla, Additional Secretary Sanjiv Nandan Sahai and Joint Secretary Arun Kumar Verma were among the officials present in the meeting. 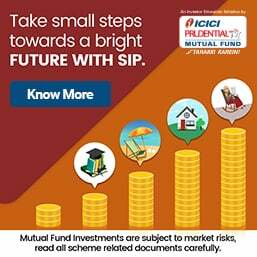 ek idea jo badal de aapki duniya, mushkil mein! India has one of the lowest telecom tariffs in the world and with new entrants, new benchmarks are sure to be set. But apparently, lower tariffs do not guarantee good call quality and many consumers have reported issues with their call clarity, voice breaks and call drops. Recently, many consumers have reported major issues, saying that many of their calls do not connect even on multiple tries, finds a survey. This is despite, the Telecom Regulatory Authority of India (TRAI) issuing stringent rules for telecom companies who fail to meet voice quality benchmarks. This rule also prescribed a maximum penalty of up to Rs10 lakh per circle. LocalCircles, a social media platform conducted a survey, which saw participation by over 25,000 unique consumers from across 200 districts in India. 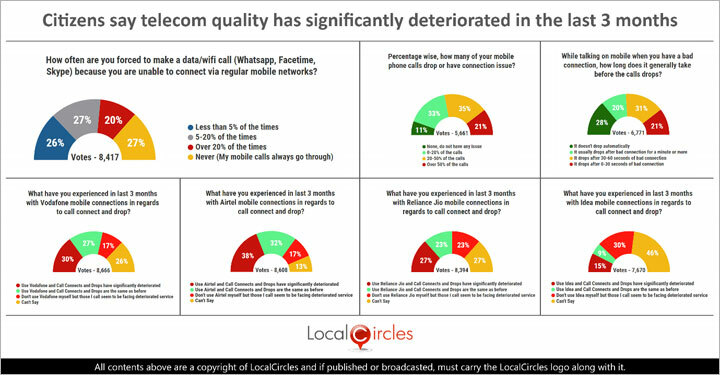 The Survey reveals about 30% of users of major mobile service providers face significant deterioration in call connect and drops, while 35% of citizens surveyed admit there is a call drop of one in every four calls. Consumers, who participated in the Survey, also said that the call drops faced by them had risen over the past few months as telecom operators moved their network from 2G or 3G to 4G but were not investing enough into their network capacity. Responding on a question on using alternative modes for making calls, 20% said they were forced to make data or Wi-Fi calls 20% of the time due to mobile network issues. About 27% said they do it 5-20% of the times while 26% do it less than 5% of the times. Rest 27% said their mobile calls always go through. A call drop represents the telecom service provider's inability to keep an incoming or outgoing call going. The instances of us rushing from one room to another to get better mobile signals when we receive a call on our mobile phone are quite common. 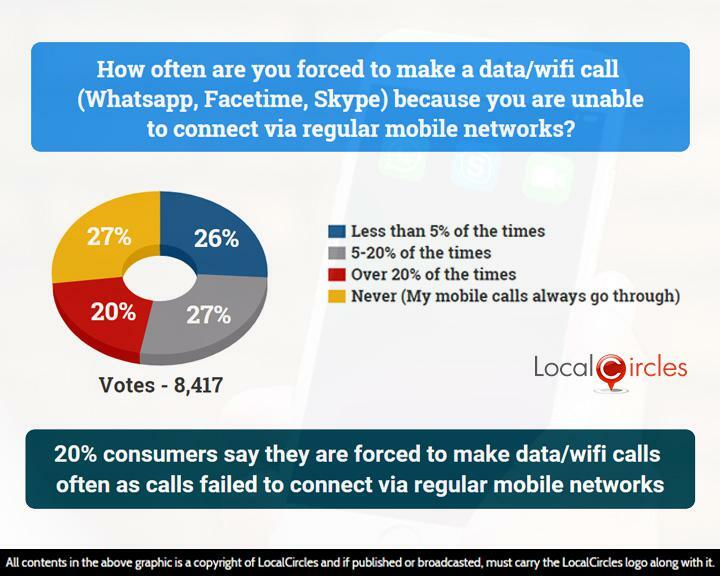 Talking about mobile call drop or a connection issue, 21% said over 50% of their calls have issues, 35% said 20-50% of their calls have issues, 33% said up to 20% of their calls have connection issues whereas only 11% said they do not face any issues. Recently, TRAI issued notices to various telecom operators of the country on them being compliant to the latest call drop norms set by the telecom regulator. 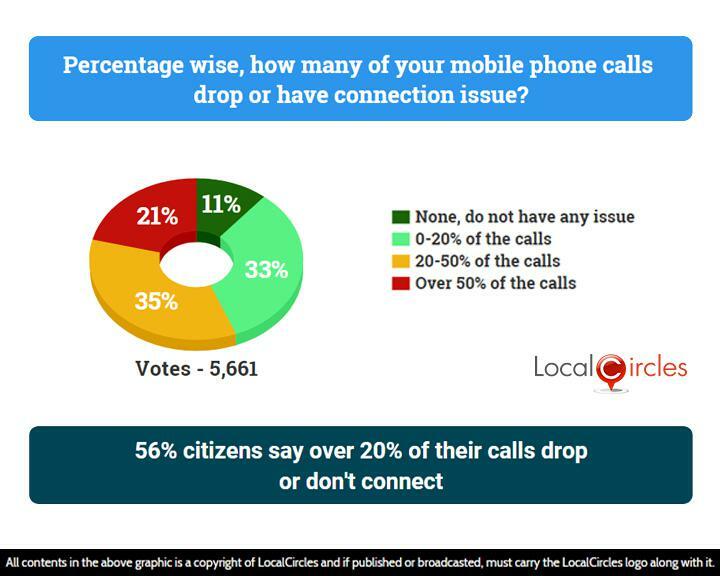 LocalCircles asked citizens about what they have experienced in the last three months with various mobile service providers in regard to call connect and call drop. Almost 8,000 votes came in on each of these polls. The results are stated below. 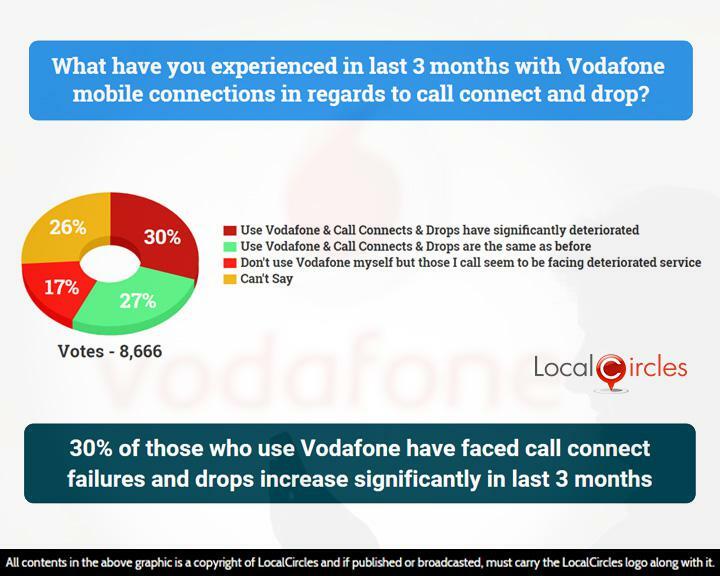 About 30% respondents who were Vodafone users said that the situation with call connects and call drops has significantly deteriorated while 27% said that it is same as before. 17% said they don't use Vodafone themselves but those they call seem to be facing deteriorated services. 26% were unsure about the issue. When it came to Airtel customers, 38% of those surveyed experienced a major increase in issues with call connects and call drops. 32% said the issues were same as before. 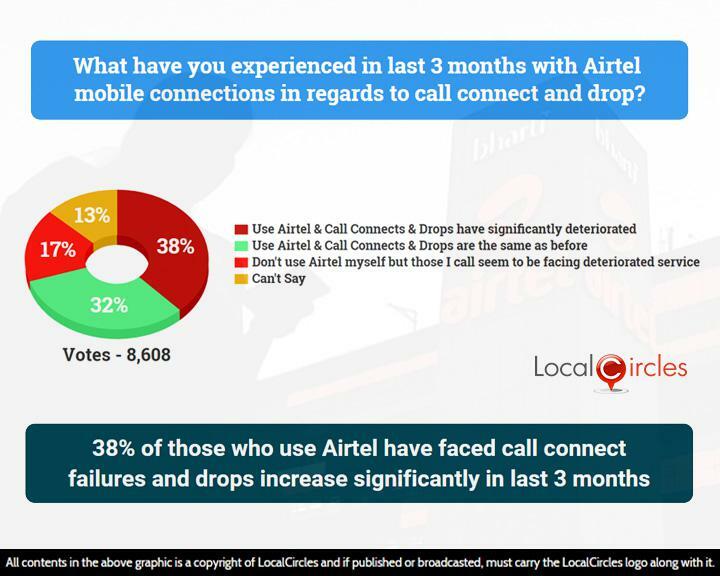 17% said they do not use Airtel themselves but people whom they call seem to be facing these issues. 13% chose not to answer. Numbers with Jio were no not much different. 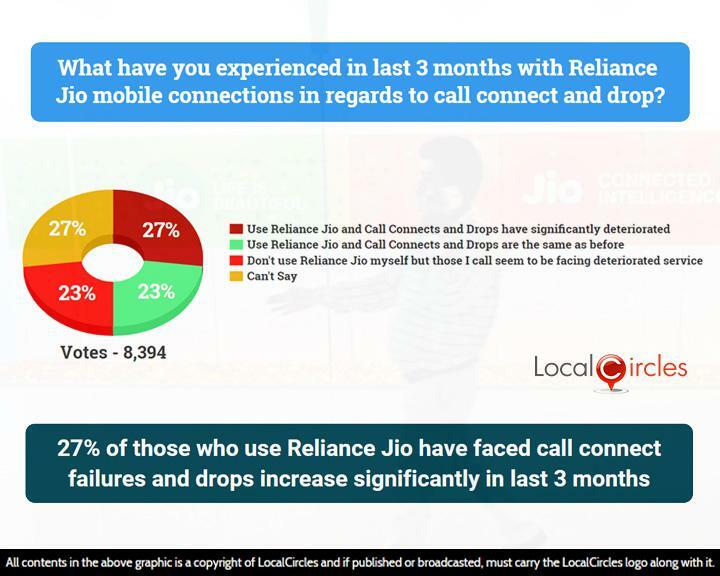 About 27% said call connects had become difficult and call drops have increased, while 23% said the problem was same as earlier. Around 23% said they do not use Jio themselves but people whom they call seem to be having issues while 27% did not have an opinion on the issue. 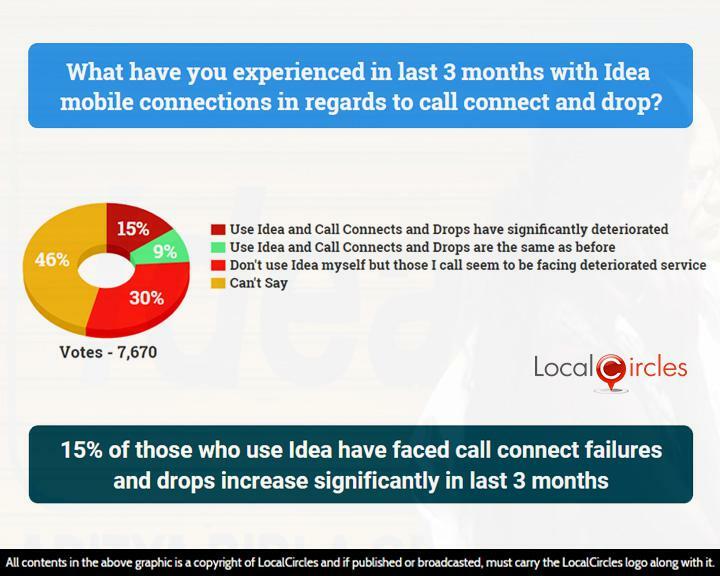 About 15% of Idea users (who participated in the survey) said call connects had become difficult and call drops have increased, while 9% said the problem was same as earlier. About 30% said they do not use Idea themselves but people whom they call seem to be having issues while 46% were unsure about it. During 2015, TRAI had mandated that telecom companies must compensate their users for call drops. The Supreme Court however, removed the rule after various carriers appealed. In response to the following poll, 20% citizens said that while talking on the phone when they have a bad connection the call takes more than a minute to drop. 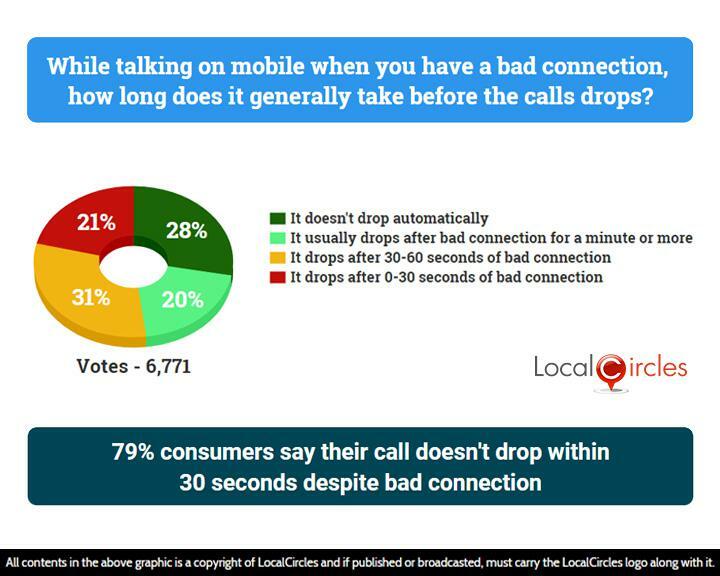 About 31% said call drops after 30-60 seconds, 21% said it drops within 30 seconds whereas 28% said it does not drop automatically at all. Citizens said that telecom companies should ensure optimum quality levels in voice calls and should be held responsible for the plunging service levels. They said that the regulator should also ensure that the issue of call drops and voice breaks are minimised and the telecom operators do not cut corners to reduce prices in order to gain more market share, LocalCircles says. Every business in this country is not bothered about customer services and customer satisfaction. They think only how to make money from fooling indian consumers.All advertisements are fake.fmcg mutualfund telecom cunsumer durable star hotels banks including psu banks nobody is true to the consumer.Government also encourages business community. lo kar lo baat! duniya mutththi meian! 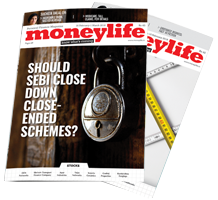 The Maharashtra Real Estate Regulatory Authority (MahaRERA) has directed Mumbai-based Runwal Constructions to pay a penalty of Rs10 lakh for the non-disclosure of indemnity of disapproval (IOD) with its two projects. 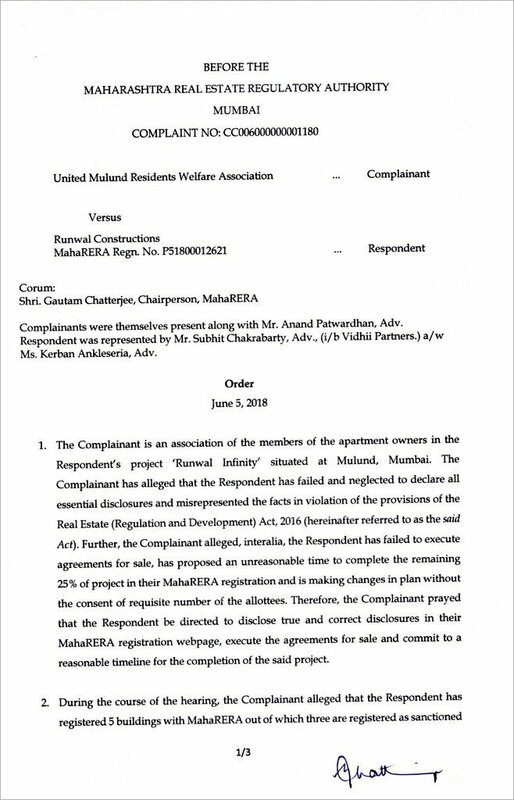 In its complaint, United Mulund Residents Welfare Association had alleged that Runwal Constructions had registered five projects with MahaRERA, three as sanctioned and two as proposed. These two projects had valid and subsisting sanctions in the form of IODs but the developer failed to upload these approvals on the MahaRERA website, violating the provisions of RERA Act, the Association stated. Runwal Constructions, however, submitted that the two buildings (towers) were still in the proposed stage, as they did not have the IODs. 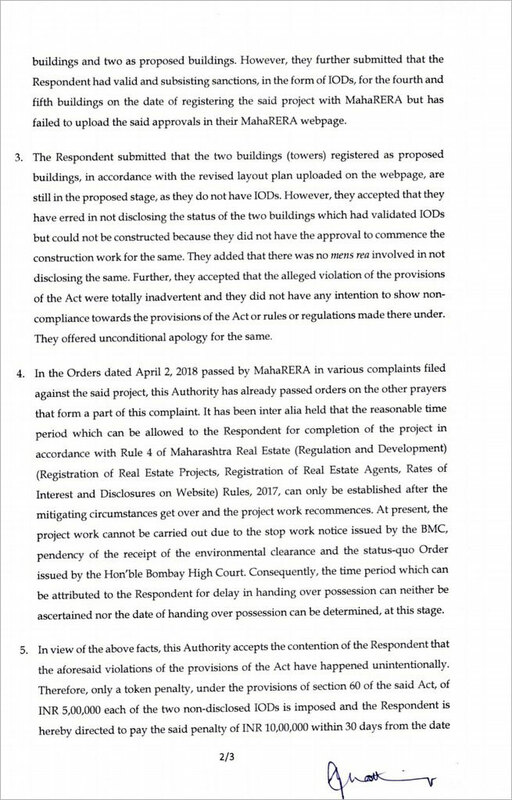 While accepting their mistake in non-disclosure of status of the two buildings, which had validated IODs, Runwal contended it could not be constructed because they did not have approval to commence construction work. The builder also offered an unconditional apology for the non-compliance of the provisions of the Act. It further stated that the project work could not be carried due to the stop-work notice issued by BrihanMumbai Municipal Corp (BMC), pendency of environment clearances and the status-quo order of the Bombay High Court (HC). Citing such mitigating circumstances, the construction company said that the date of handling over the possession cannot be determined currently. Considering the contentions of Runwal Constructions and unintentional violations of provisions of the Act, Gautam Chatterjee, Chairman of MahaRERA ordered a token penalty of Rs5 lakh for each of the two projects be paid within 30 days of the date of order. 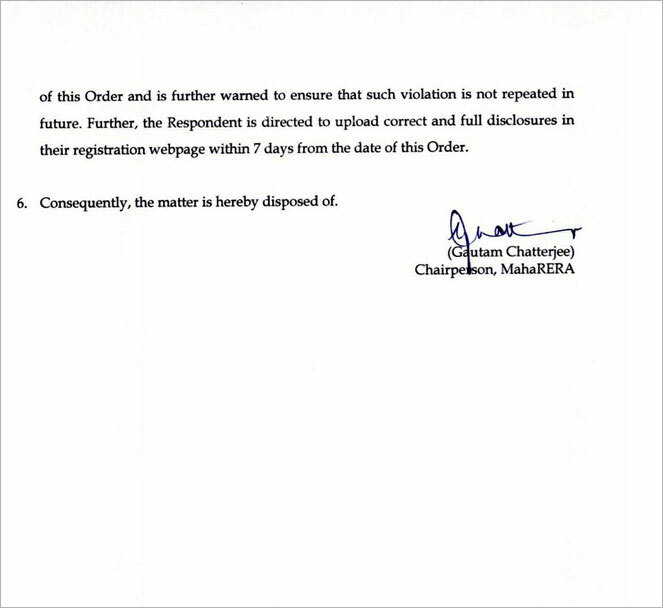 MahaRERA also warned the builder from abstinence of such violations of the law further directing them to upload full and correct disclosures of their registration on the MahaRERA website before 12 June 2018. Lovely.... need more of these ! !